The international break presents him with the opportunity to work on new signing Phakamani Mahlambi’s fitness. Denis Onyango, Anthony Laffor, Themba Zwane, Tiyani Mabunda and Motjeka Madisha are among the players who have left the Mamelodi Sundowns camp to join their respective national teams for this weekend’s 2019 Africa Cup of Nations qualifiers. This leaves coach Pitso Mosimane with a weakened group, but at the same time presents him with the opportunity to work on new signing Phakamani Mahlambi’s fitness. 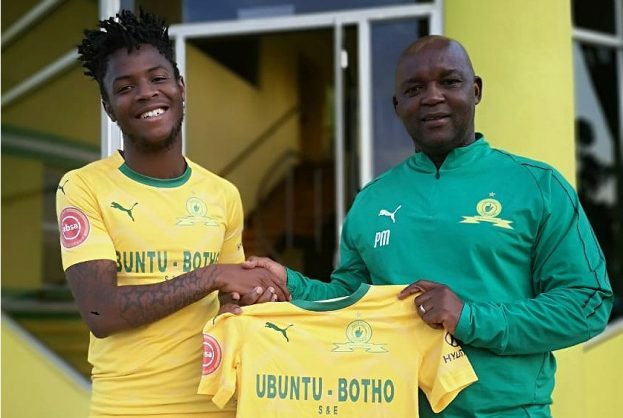 Mahlambi, a former Bidvest Wits star, joined the Brazilians from Egyptian powerhouses Al-Ahly just before the transfer window closed. “It is our obligation to support all the national teams and there is no issue there. Everyone who was called has to go,” said Mosimane. “I have been talking with Phakamani for two months during pre-season. He did week one and week two with Al-Ahly and in the third week the team went to Croatia and they left him behind, so he lost two weeks at home. Then they brought him back when someone got injured in Botswana, so he started training with the team. “In my opinion he is 55% fit. We have invested in him for the next five years and that is a big investment. Football is not just about winning and I know the supporters are not happy. It is good when you wobble a little bit. We know the story because we want to lift trophies but you can’t lift them all,” Mosimane added. While his new striker is Masandawana’s latest acquisition, Mosimane has also tied down Brazilian-born defender Ricardo Nascimento with a three-year contract extension, and young prospect Sphelele Mkhulise, who was given a five-year deal. “We have a very good group that we can move forward with. Lyle Lakay and Tebogo Langerman, Ricardo and Madisha, Thapelo Morena and Anele Ngcongca, and the four central midfielders and now Phakamani and Anthony. It is a very good group,” said the former Bafana Bafana coach.